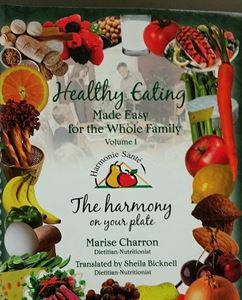 This book contains traditional, everyday, healthy recipes, varied and easy for the whole family. Also included in this book are a food guide, healthy plate guidelines, how to prepare legumes, and a talble outlining how to use fine herbs and spices. Are you diabetic? Do you have health problems? Do you have excess body fat? Or do you want to make easy meals and improve your eating habits? Then this recipe book is made for you.